Root > Tools > Viewer > How do I...? > ...view a report? > ...view a report inside archive? ...view a report inside archive? 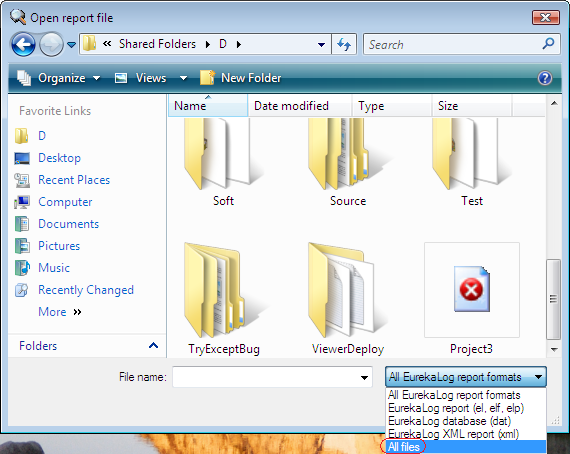 EurekaLog v7 generates a packed reports with special file extension "elp". Files of this type are associated with EurekaLog Viewer. To view them - just double-click them. • Exact button ("View" or "Import") depends on current work mode. Viewer will try to detect main bug-report elf file and import it. All other files in the archive will be imported as associated files.